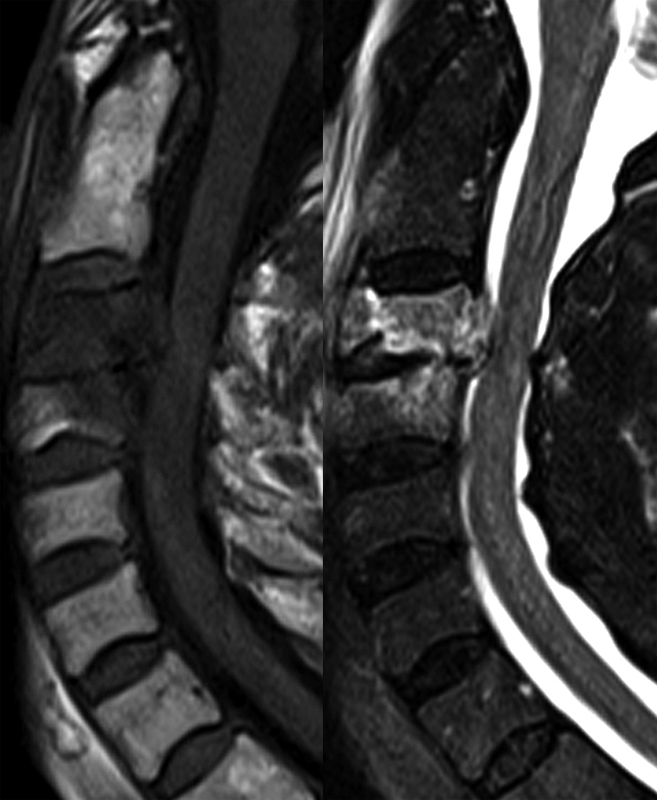 A 77 year-old woman seen in the emergency room, following trauma, with cervical pain but no neurologic deficit. 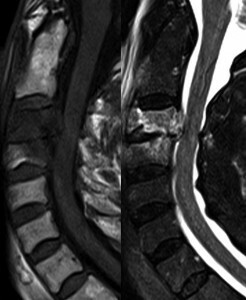 4 mm sagittal FSE (3 echoes) pre-contrast T1- and FSE (15 echoes) T2-weighted scans, the latter with fat saturation, are presented, acquired at 1.5 T on a Siemens Avanto MR system. Sequence parameters were TR/ TE = 608/8.5 and 3000/98 respectively. Scan times were 3:13 and 3:18 min:sec. 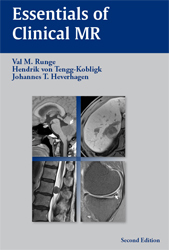 Edema (with low signal intensity on T1- and high signal intensity on T2-weighted scans) is seen diffusely within the C3 vertebral body, consistent with an acute fracture. Retropulsion of the posterior portion of the C3 vertebral body into the central canal results in moderate central canal compromise with mild cord flattening. There is no evidence of cord edema. Edema in the posterosuperior portion of the C4 vertebral body is consistent with an additional acute fracture. 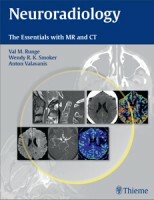 Prevertebral soft tissue edema extends from the skull base to the C4 level. Burst fractures occur due to axial loading, and are typically comminuted with loss of vertebral body height. Fracture planes are oriented vertically, with displacement of fragments anteriorly, posteriorly, and laterally. There is typically central canal compromise and prevertebral edema. In the cervical spine these usually involve the mid- to lower spine, and may or may not be unstable.